Harbouring the dream of providing high standard education, the visionaries of Malad and Kandivli areas came together and established Malad Kandivli Education Society (MKES). The first step was starting ofSheth Nahalchand Laloochand High School in 1942-43. Within a span of 60 years, the Society hasgrown into a huge banyan tree with many educational institutes in its premises. Thousands of students have gone out of its portals over these many years and today occupy important positions in the Society. The landmark achievement of the society was starting of Nagindas Khandwala College of Commerce and Arts. Founded in July 1983, the college today has established itself as one of the prominent colleges of Western suburbs. Affiliated to the University of Mumbai, the college has shown tremendous growth in a short span of time. The College started with only three divisions of FYBCom and now more than 4500 students are part of this institute and College offers various courses. The Junior College was also started along with the senior college in the same year. 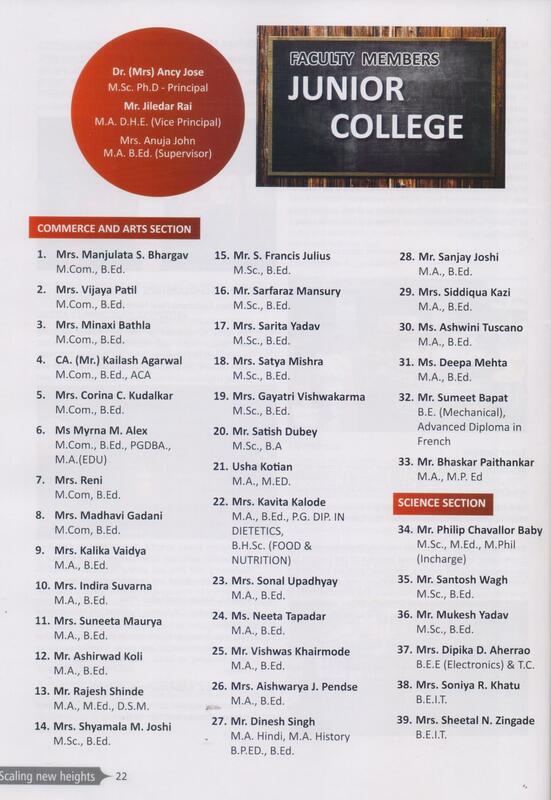 The Bombay Suburban Grain Dealers’ Junior College of Commerce and Arts is recognised by the Maharashtra State Board of Secondary and Higher Secondary Education, Mumbai, and it works as per the rules framed and guidelines issued by the Director of Higher Secondary Education,Government of Maharashtra.